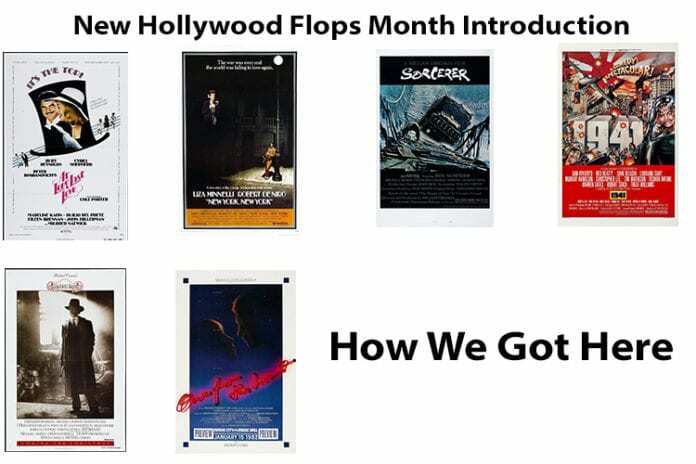 It’s the time of the season again, no not Oscar season, or endless winter, it’s flop season. Where films the studio has no idea what to do with, dump them out in February, and hope for the best. This is a frustrating system, and results in many lower profile flops. Because of this complex, I tend to sympathize with films which were failures at the box office, and coolly dismissed by critics. These are the films which tried valiantly and failed, yet they left an impression on those who witnessed them. I would like to introduce “the month of the 70s New Hollywood flops” where I’ll look at six of the most famous bombs of the New Hollywood era (which constitutes 1967-82). So, to get everyone on the same page, we need to talk about Hollywood history, because what is more interesting than talking about the history of Hollywood. In order to do that, we need to start with the studio which owned this theater. 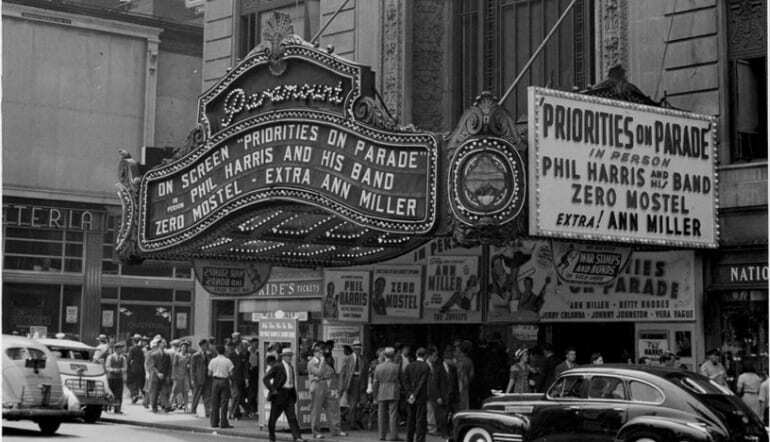 After the 1948 ruling of U.S. vs Paramount banned block booking, and essentially told studios to sell their theaters, the US film industry went into disarray. This resulted in an era, where product was now dictated by the populous, and threatened by the invasion of television. Naturally, the studios panicked, and proceeded to pump out nothing but epics, thinking the biggest films would distract from television. These 3 to 4-hour films in full Technicolor, CinemaScope, elaborate costumes, and featured a cast of thousands. These were high risk-high reward films, and when they paid off, they really paid off. Just a few of the big epics included: From Here to Eternity (1953), The Ten Commandments (1956), The Bridge on the River Kwai (1957), Ben-Hur (1959), El Cid (1961), and Lawrence of Arabia (1962). However, this resulted in studios betting it all on one film. Take for example, the infamous Cleopatra (1963), a film which was in production three years, sucked out a record amount of money from 20th Century Fox, and briefly resulted them declaring bankruptcy, in a symbolic end of the studio system. 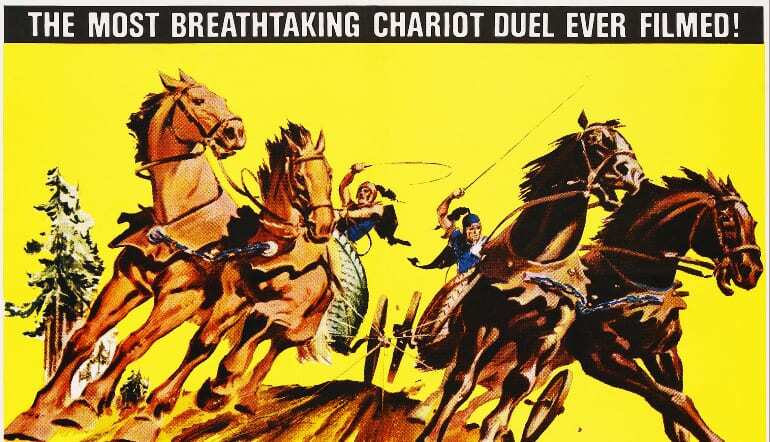 Eye catching poster art and impossible claims, were the expected for big budget epics of the time. Two big factors emerged in the background, the rise of foreign films, and the popularization of film theory, through film critics and the emergence of film schools. The rise of foreign films, first. Because of the ruling, mentioned at the beginning, theaters could choose which films they would show, and films from France, Italy, Japan, and Sweden, which had no foothold in the market, were now flooding the market, and most of the films were classics. Here are ten films which symbolized the rise of the foreign film market in the late 50s to early 60s: The 400 Blows, La Strada, Bicycle Thieves, Seven Samurai, The Hidden Fortress, Breathless, The Seventh Seal, 8½, Rashomon, and Wild Strawberries. This is a pretty wonderful list, of some of the most famous films of all time, released during the same time-frame. With the rise of markets not known for films, came the rise of film theory, popularized by the famed French film magazine “Cahiers du Cinema”, and popularized the “Auteur theory”. The Auteur theory states the director is the author of their film, with a unique approach to their directorial style. This was retroactively applied to an era where style was usually frowned upon. Three of the most famous auteurs during the studio era were John Ford, Howard Hawks and most famously, Alfred Hitchcock. Hitchcock’s conversations with noted French critic/filmmaker the late François Truffaut, became the famed film book “Hitchcock/Truffaut”, which is still in print today. 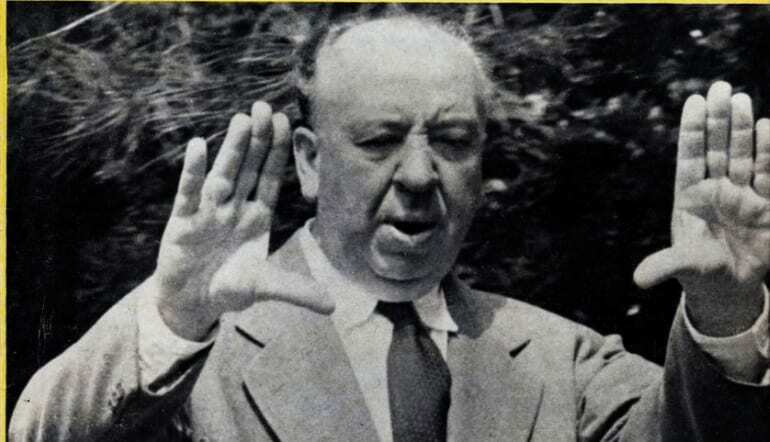 Alfred Hitchcock was one of the first patron saints of the Auteur theory. Even if the filmmakers themselves were confused by it. Naturally, this transferred to the United States, to college campuses and their emergent film schools. Like Europe and Asia, these “film brats” as they were called, loved films, with a passion, yet they also loved the French New Wave, and the films from overseas; and combined these two loves into a new generation, yet they weren’t taking over the industry just yet, it would take until one film cracked the popular zeitgeist, said film was Bonnie and Clyde. Produced and starring an up and coming star in Warren Beatty, and directed by a relatively accomplished, but unheralded director Arthur Penn, it wasn’t expected to go very far, especially after a negative New York Times review. However, one of these new breed of film critics; the late Pauline Kael, praised the film in The New Yorker, and it was off to the races, a new era in film had just begun. Two years later, the revolution began in earnest with the release of Easy Rider, and Midnight Cowboy. 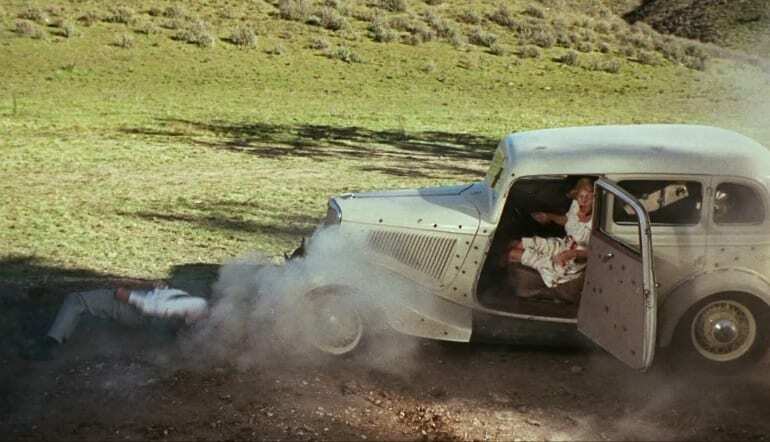 While the revolutionary style of violence was one of the drawing cards of Bonnie and Clyde, people sometimes forget, it was still a great movie too. By 1976, the “film brats” had invaded, and conquered. Names like Francis Ford Coppola, Steven Spielberg, Martin Scorsese, George Lucas, William Friedkin, Brian De Palma, Peter Bogdanovich, Robert Altman, and Hal Ashby became names known and respected around film circles. This was just a fraction of the infusion of youth, which Hollywood desperately needed. 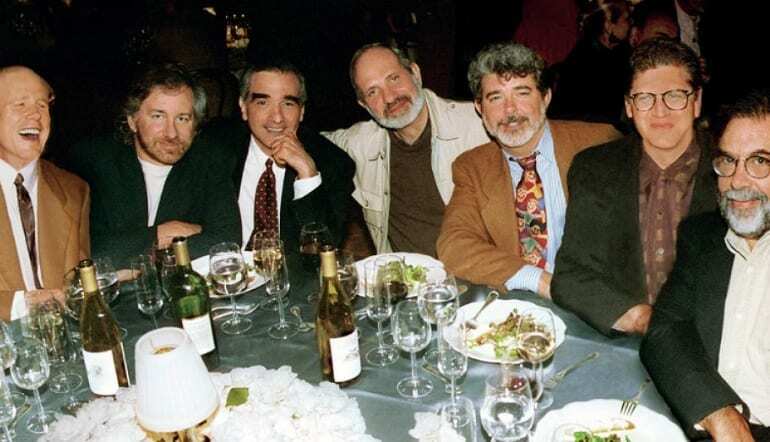 Some of the films created by these directors from this time included: The Godfather Part I & II, The Conversation, Jaws, The Exorcist, American Graffiti, Taxi Driver, Mean Streets, The French Connection, Carrie, The Last Picture Show, M*A*S*H, Nashville, McCabe and Mrs. Miller, Paper Moon, Harold and Maude, and Shampoo, to name many examples. Even directors who had started pre-New Hollywood (Yet post 1948 lawsuit), like Sam Peckinpah, Sidney Lumet, Mike Nichols, Arthur Penn, Roman Polanski, and John Cassavetes seemingly embodied this revolutionary zeal, which was as infectious as it was exciting. Some of those films created by the latter directors still reads like a list of legitimate classics. The Wild Bunch, Straw Dogs, Dog Day Afternoon, Network, The Graduate, Carnal Knowledge, the already mentioned Bonnie and Clyde, Little Big Man, Night Moves, Rosemary’s Baby, Chinatown, The Killing of a Chinese Bookie, and A Woman Under the Influence, to name many more. While the studio which seem to exemplify this “director-first” mentality was United Artists, it seemed like every studio was seemingly betting on youth, and for the most part it paid off. Yet what happened when a director’s luck ran out and the directors had a major flop? Well, this is where we get into the subject of these reviews, in this month (or two), we’ll look at six of these flops; At Long Last Love, Sorcerer, 1941, New York, New York; Heaven’s Gate and One from the Heart. The reviews won’t be in chronological order, so stay tuned, because this will be good.